Broken Silence: Man the canon! What is canonical when it comes to the Silent Hill series? Each game has their very own set of endings. Fans have come to agreements and disputes over which are official. When discussing canon, Silent Hill 2, 4, Origins, and Homecoming are discussed. Silent Hill 1’s Good ending is the canon one despite Good + being a more perfect and happy ending in which Cybil lives. Silent Hill 3 is a direct sequel, so canon discussion is much more limited when it comes to these two titles. The problem at hand is not about those game’s endings. It is about the issues that arise when a new Silent Hill game is created and people refuse to call it canon for various reasons. The point of this installment of Broken Silence is to argue that canon is story based, not gameplay. But before that, let’s continue moving forward with each new Silent Hill game and their individual canon issues. 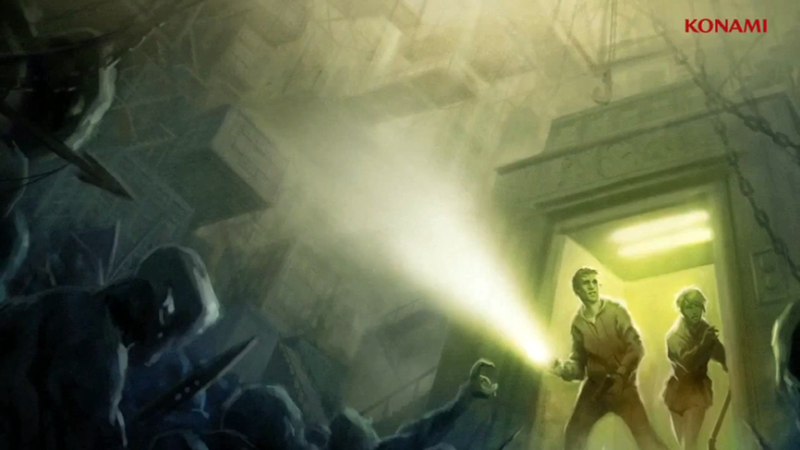 Silent Hill: Origins was the first to get this scrutiny from fans. 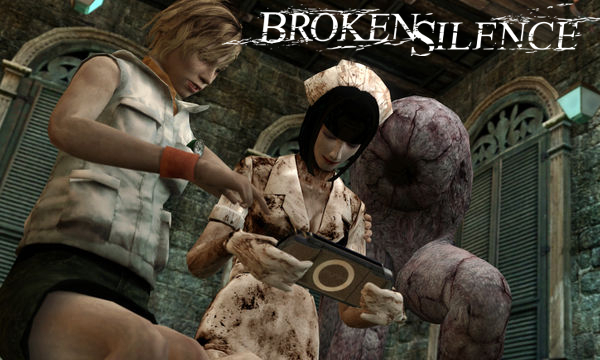 The game squeezed itself into the timeline of the series and set on giving a backstory to Silent Hill 1 by going deeper into the origins of Alessa Gillespie and The Order. Many have argued that Origins failed to explain everything properly. This was perhaps due to the game’s rushed and choppy development. The game released in 2007 so its issues are set in stone and we can determine the flaws to canon. Silent Hill: Homecoming, the black sheep of the family, didn’t have to refer to the past outside of referencing The Order, but it still caused issues of its own. 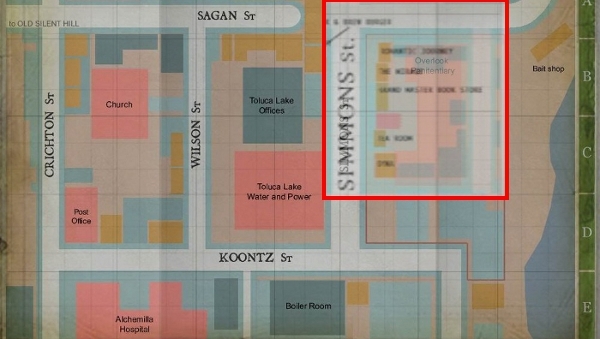 Homecoming had a few errors regarding the layout of the town. Sure, you could say that these alterations to the map were due to Alex’s own delusions, but Homecoming won’t get a pass that easy. Outside of the game’s technical flaws it was also broken in terms being faithful to the lore of the series. Here’s looking at you Pyramid Head. Get out of that game! Homecoming’s Overlook Penitentiary caused issues with the layout of Central Silent Hill. It was randomly placed along side Simmons Street. 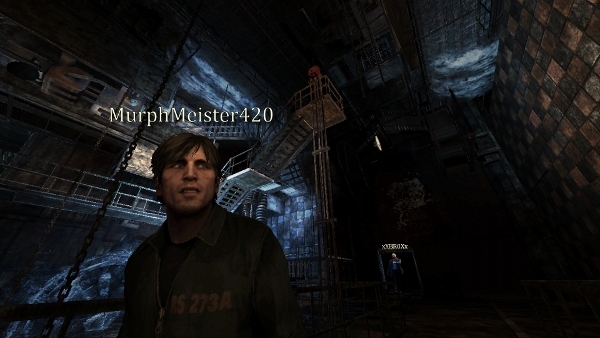 Silent Hill: Downpour thankfully aims to fix this mistake by having us revisit the prison. As noted in my analysis, it appears that Murphy will visit Overlook Penitentiary but at its new and correct location in the town. If so, I’m happy to see the developers be more conscious about their actions and fix old mistakes. The Silent Hill series is all about the tiny details, so while small, this fix would mean a lot to us fans. Silent Hill: Shattered Memories exists in its own timeline. It is not canon or a part of the same universe so it does not need to follow any rules. One thing worth mentioning though is the fan attempt to decipher the canon ending in that title. This can not be done with Shattered Memories, because the whole point of the game is that it’s catered to the player. Your ending is the ending. While visiting Konami for our exclusive preview, we discussed this a bit and I thought it would be worth mentioning. Now to move onto the main point: Silent Hill: Book of Memories was announced pre-E3 and finally revealed at E3. Developed by WayForward, the game will be taking a drastic change in gameplay and become an isometric multiplayer brawler; Yes, this sounds shocking.I myself will be holding judgment on the quality of the game until after I play it, but I am in the same crowd as those who were shocked to see the series have a title with such a sudden gameplay change. This wouldn’t be the first time, though. Silent Hill: The Arcade, and the several mobile games—the mobile games having limited small releases—were a departure from the third person survival horror that we were used to; Silent Hill: The Arcade was basically House of The Dead in Silent Hill. What annoys me about the criticism for Book of Memories is the idea that it can not be canon. What does a gameplay change have to do with a canon story within the official timeline of the series? If one were to read a novel that was a sequel or prequel to a movie, does it no longer mean that it’s canon because it’s a different medium? Why can’t the story of Book of Memories become part of the lore of the series? The accusation baffles me. Now, this doesn’t lead me to a stance in which I’m defending the game’s gameplay. For all I know, I might dislike it. If the story is meant to be canon, it is isn’t it? No amount of distaste or disagreement with the gameplay will change that. My only hope is that the story is good. If it’s going to place itself within the series as an official part of the timeline, then it has to be rich with lore and of good quality. I thought Origins did a decent job of that, and Homecoming didn’t really cause too much of a rift due to its self contained story a la Silent Hill 2. Book of Memories will be taking the new characters through the memories of the town, and possibly revisit locations throughout the series. This means that not only is it adding to the canon, but also going into the past. Book of Memories has to have a good story to do this type of thing without seeming tacked on for the sake of supporting the gameplay features. I completely understand the purpose of this game. Book of Memories is being developed with the platform in mind. The Playstation Vita is a powerful portable console that allows for people to play together while on the go; multiplayer is becoming a standard in gaming as well. It makes sense to see this feature tested on a smaller entry in the series—something I prefer over having one of the “main” entries in the series trying it first. Silent Hill: Origins was originally developed as a PSP only title, but its formula didn’t seem meant for a portable console. Playing a traditional Silent Hill game while traveling or surrounded by people doesn’t work too well. Origins was better played at home, and not in a busy environment outside. My acceptance of this gameplay style for Book of Memories does not mean that I want the main line of games to go in this direction as well. I really enjoyed the gameplay of Downpour from my demo, and it would be rash to assume that the series as a whole will be changing into something like Book of Memories. Being an optimistic fan, I want Book of Memories to be good even if it’s not traditional. What matters most to me is the story. When I pick this game up, I can be satisfied if the story is faithful to the series’ tropes. I will be even more satisfied if the gameplay—while different—is still fun and engaging. What really matters for me about the Silent Hill series is the story, aesthetics, and symbolism. If those things are achieved, I will be a happy fan.